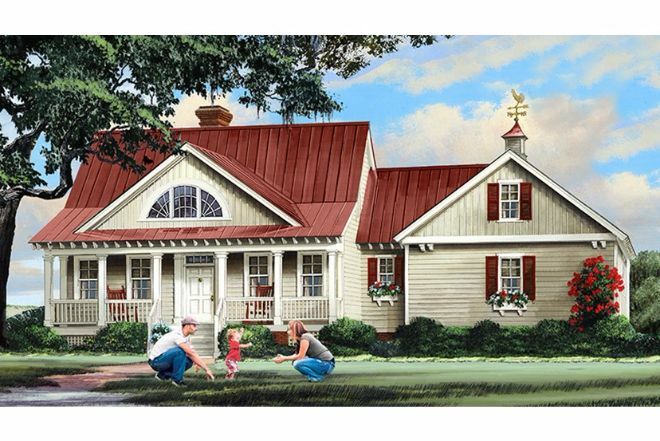 Farmhouse style homes are popular for their big porches, large kitchens, and family friendly layouts. They can be elaborate or simple, customized to fit your family's needs. Ready to start planning your farmhouse retreat? Living in a cozy single story can have numerous benefits. They're great for small children and the elderly, eliminating the fear of a nasty fall down the stairs. Single stories are more energy efficient, and save money on utility bills. They also have great open floor plans and a cozy atmosphere. Check out 7 of our favorite single story farmhouses below. 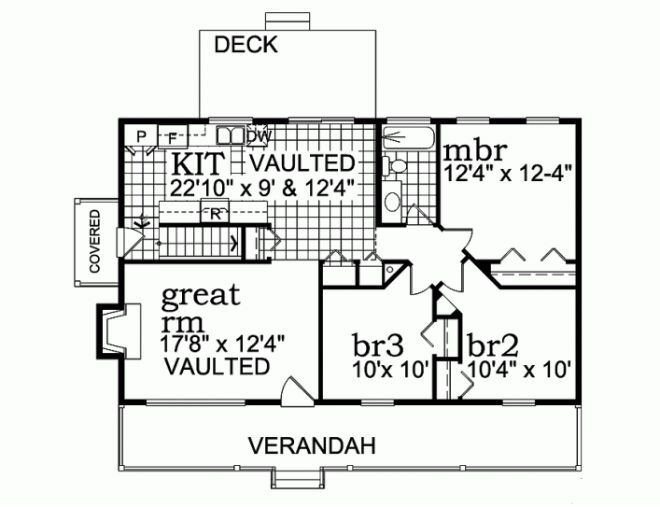 To purchase any of these plans click the link on the home's title. This farmhouse combines old-fashioned charm with a modern layout. The foyer opens to the dining room which leads to a great kitchen with a snack bar and bright breakfast nook. The vaulted ceiling great room has double doors that lead to the screened porch in back. The master suite is on the right side of the house for privacy. 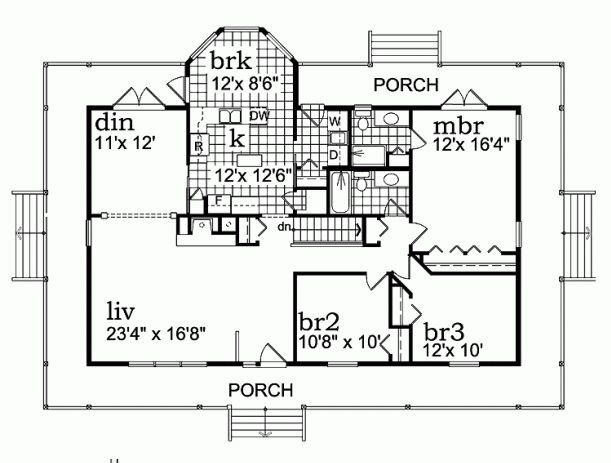 Across the home, three more bedrooms share two baths. 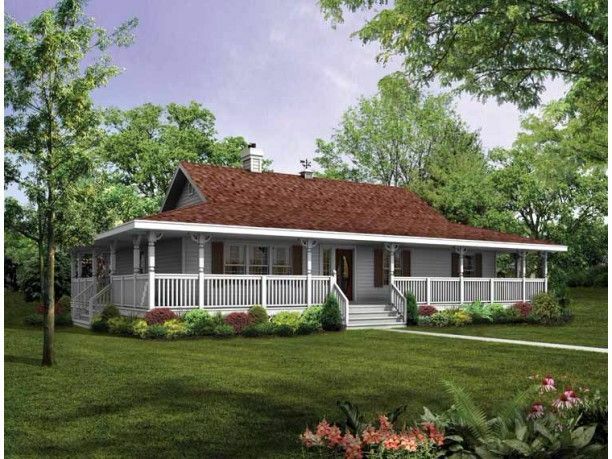 This simple one-story home features a magnificent veranda that stretches across the entire front. Inside the great room is warmed by a cozy fireplace. The kitchen includes a large island and opens to the rear deck. 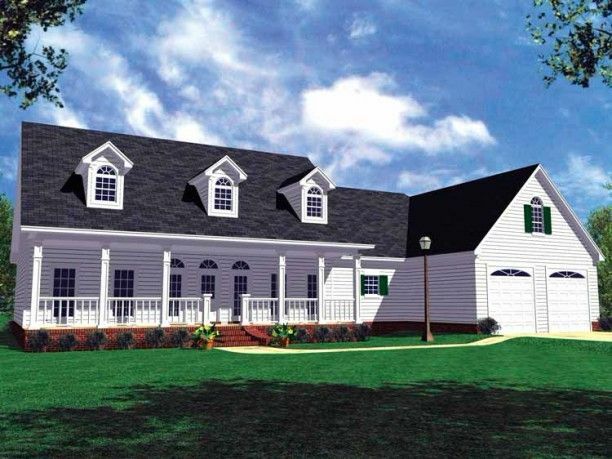 The master bedroom and two additional bedrooms are located on the left side of the house. 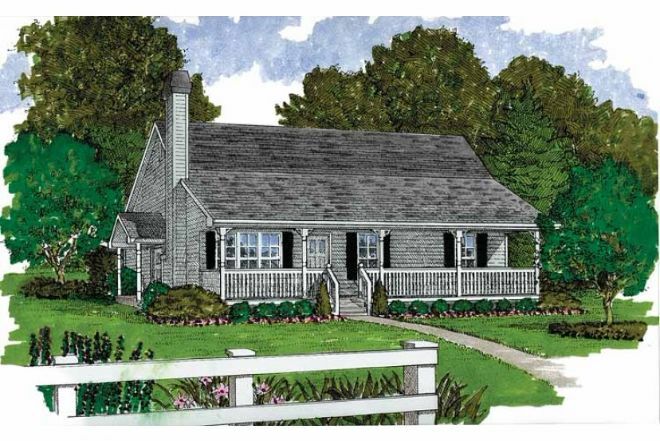 This cabin style home will have you dreaming of a private retreat in the woods. After entering through the large veranda, you'll find the cozy vaulted great room with a fireplace. The kitchen is also vaulted and includes an eat-in dining area. 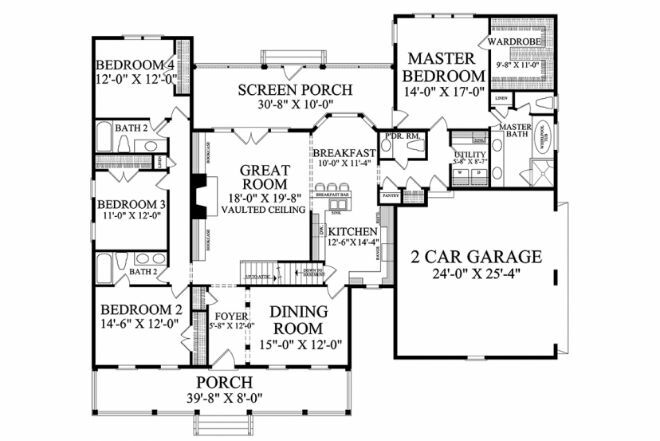 The master bedroom and two other bedrooms are located on the right side of the house. This country farmhouse has a full wraparound porch for gorgeous views. The living and dining rooms are positioned on the left with plenty of windows, a fireplace, and French doors to the porch. The nearby kitchen includes a small island and breakfast nook. The master suite enjoys French doors to the porch and a private bath. Two family bedrooms are towards the front of the house. 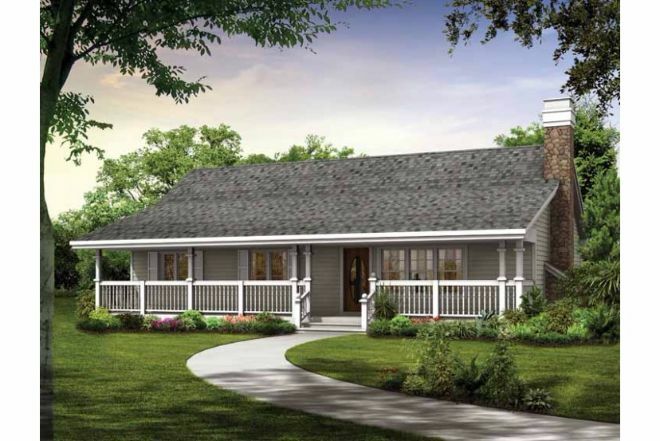 This home features a popular split-bedroom floor plan layout. 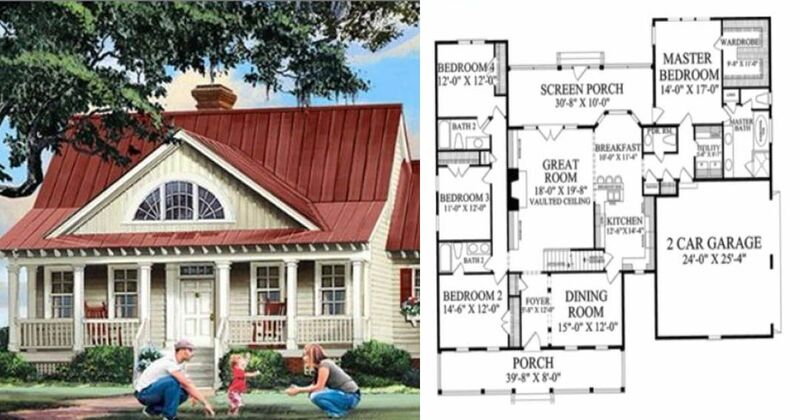 Enter through the covered porch into the vaulted great room with a fireplace. Two family bedrooms are located off the great room to the left. 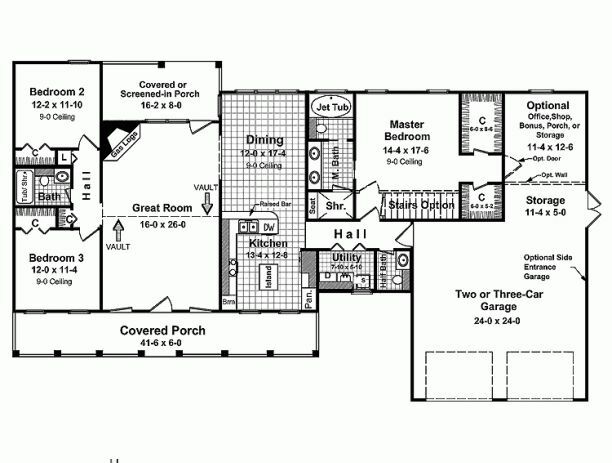 The kitchen and dining are is in the center of the home, with the master suite located privately on the right side. A bonus room is off of the garage. 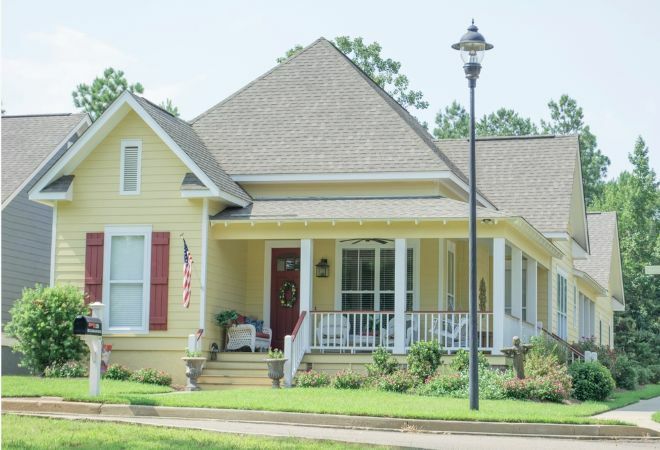 This charming country cottage has a long open layout. The great room, kitchen, and dining are all part of the open concept main space. 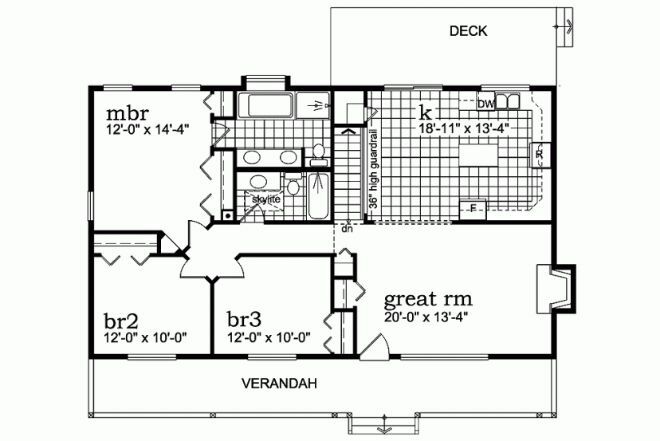 Two bedrooms are located at the front of the house. Towards the rear of the house is the master suite, office, and utility room. A convenient storage space is located off the carport. Which one of these were your favorite? Let us know on Facebook!